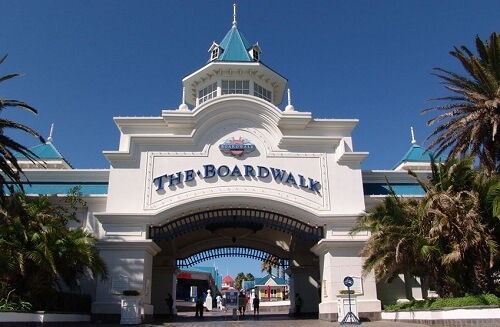 The exquisite Boardwalk Casino and Entertainment centre is situated in Port Elizabeth in the Eastern Cape. At the resort, there is a beautiful casino, 5-star hotel, art convention centre, fitness centre, beauty spa, bars, restaurants, kid’s entertainment centres and shops among others. It is close to the Indian Ocean and the ocean view is absolutely beautiful. The Boardwalk Casino and Entertainment World attracts both local and international visitors. You can never run out of things to do once you step on these premises. The Boardwalk Casino offers a variety of games, over 850 slot machines, and 24 casino tables. It is a licensed casino that promotes responsible gambling and fairness. Furthermore, the games are affordable with slot machines accepting small denominations ranging from 2 cents to R50. Table games include Blackjack, Blackjack Switch, Poker, American Roulette and more. Boardwalk Casino machines all operate with a smartcard offered by the casino. Players can enjoy their favourite games 24 hours a day and seven days a week. Above all, Boardwalk Casino customer service is of high quality. The casino has jackpots on specific machines all around the casino. Therefore, players can win life-changing jackpots. Boardwalk Casino is set up with sections that accommodate both smokers and non-smokers. Also, for high rollers, there is a private casino exclusively for them. ATMs and cash desks are conveniently located within the complex for all your banking needs. The casino offers a number of promotions to its players including Monday Mania, Sizzling Summer promotions, Bingo Bonanza and more. The atmosphere is absolutely magical – bars complement the nightlife at the casino complex. For that reason, they come alive making people unwind on the dance floor. There is a variety of top class bars to choose from including Tshawe Bar, Bravo Bar and the private Charter Club Bar for Salon Prive members. Boardwalk Casino offers great restaurants to treat your taste buds with Greek, Italian, South African, Asian and Mediterranean cuisines. The restaurants are spectacular with beautiful views. There are fast-food courts at the complex. There is everything to tempt your taste buds before or after gambling. 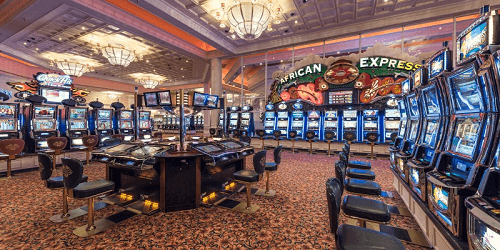 For more on casinos in the Eastern Cape, check out our guide on the province’s best casinos.